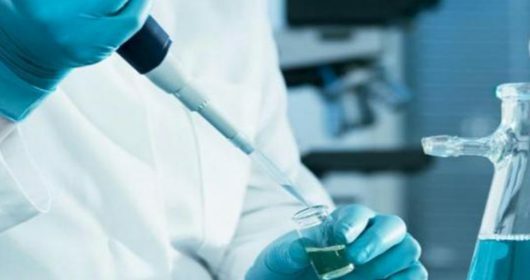 If you or your loved one is dealing with a diagnosis of lymphoma, our multidisciplinary team of hematologic cancer specialists at West Cancer Center & Research Institute is here to surround you with the latest treatments and technology to design a personalized treatment plan specific to your disease. Our goal is to also provide resources and information to better help you understand and manage your lymphoma. Lymphoma is a cancer of the lymphatic system, which is part of the body’s germ-fighting network. 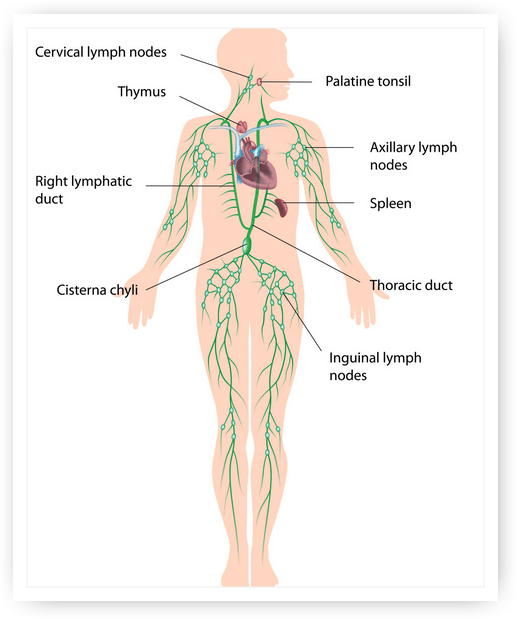 The lymphatic system includes the lymph nodes (lymph glands), spleen, thymus gland and bone marrow. Lymphoma can affect all those areas as well as other organs throughout the body. B lymphocytes (B cells): B cells make proteins called antibodies to help protect the body from germs (bacteria and viruses). T lymphocytes (T cells): There are many types of T cells. Some T cells destroy germs or abnormal cells in the body. Other T cells help boost or slow the activity of other immune system cells. Hodgkin lymphoma usually starts in B lymphocytes. Although, Hodgkin lymphoma can start almost anywhere, most often it starts in lymph nodes in the upper part of the body. The most common sites are in the chest, neck or under arms. Hodgkin lymphoma most often spreads through the lymph vessels from lymph node to lymph node. Rarely, late in the disease, it can invade the bloodstream and spread to other parts of the body, such as the liver, lungs, and/or bones marrow. Classic Hodgkin lymphoma (cHL) accounts for more than 90% of cases of Hodgkin lymphoma in developed countries. It has 4 subtypes: nodular sclerosis Hodgkin lymphoma (NSCHL), mixed cellularity Hodgkin lymphoma (MCCHL), lymphocyte-rich Hodgkin lymphoma, and lymphocyte-depleted Hodgkin lymphoma. Nodular lymphocyte-predominant Hodgkin lymphoma (NLPHL) accounts for about 5% of cases. The cancer cells in NLPHL are large cells called popcorn cells (because they look like popcorn), which are variants of Reed-Sternberg cells. You may also hear these cells called lymphocytic and histiocytic (L&H) cells. NLPHL usually starts in lymph nodes in the neck and under the arm. It can occur in people of any agge, and is more common in men than women. This type of Hodgkin lymphoma tends to grow more slowly and is treated differently from the classic types. This disease does not start in the white blood cells and may originate in the lymph nodes, spleen or bone marrow and spread to other parts of the body. Non-Hodgkin’s Lymphoma is divided into three types, based on cell types, and classified by how quickly it spreads. Outside the lymph system in one organ or area. in one or more lymph node groups either above or below the diaphragm and outside the lymph nodes in a nearby organ or area. in lymph node groups above and below the diaphragm, outside the lymph nodes in a nearby organ or area, and in the spleen. in one organ or area outside the lymph nodes. in one or more lymph node groups either above or below the diaphragm. Cancer is also found outside the lymph nodes in one organ or area on the same side of the diaphragm as the affected lymph nodes. in lymph node groups above and below the diaphragm, and in the spleen. Your doctor checks for swollen lymph nodes, including in your neck, underarm and groin, as well as a swollen spleen or liver. Your doctor may recommend a lymph node biopsy procedure to remove all or part of a lymph node for laboratory testing. Advanced tests can determine if lymphoma cells are present and what types of cells are involved. Blood tests to count the number of cells in a sample of your blood can give your doctor clues about your diagnosis. A bone marrow aspiration and biopsy procedure involves inserting a needle into your hipbone to remove a sample of bone marrow. The sample is analyzed to look for lymphoma cells. Your doctor may recommend imaging tests to look for signs of lymphoma in other areas of your body. Tests may include CT, MRI and positron emission tomography (PET). *Other tests and procedures may be used depending on your situation. What lymphoma treatment is best for you depends on your lymphoma type and its severity. Lymphoma treatment may involve chemotherapy, immunotherapy medications, radiation therapy, a bone marrow transplant or some combination of these. Some forms of lymphoma are very slow growing. You and your doctor may decide to wait to treat your lymphoma when it causes signs and symptoms that interfere with your daily activities. Until then, you may undergo periodic tests to monitor your condition. A bone marrow transplant, also known as a stem cell transplant, involves using high doses of chemotherapy and radiation to suppress your bone marrow. Then healthy bone marrow stem cells from your body or from a donor are infused into your blood where they travel to your bones and rebuild your bone marrow. Chemotherapy uses drugs to destroy fast-growing cells, such as cancer cells. The drugs are usually administered through a vein, but can also be taken as a pill, depending on the specific drugs you receive. Other drugs used to treat lymphoma include targeted drugs that focus on specific abnormalities in your cancer cells. Immunotherapy drugs use your immune system to kill cancer cells. Radiation therapy uses high-powered beams of energy, such as X-rays and protons, to kill cancer cells.